If Heaven is, as the great poet Belinda Carlisle once said, a place on Earth, then is Hell one too (as Belinda didn’t go on to say)? That’s the question which inspired UnEarth, a new one-shot from writer John-Paul Bove and artist Conor Boyle. The action begins in Sicily, 1895, where archaeologists excavating a long-dormant volcano find traces of a long-dead civilisation. They create plaster casts of the ancient inhabitants – à la the ghostly statues of Pompeii – only to find they’re not exactly human-shaped. What’s more, the demons who inhabited this hellscape aren’t exactly dead, either. Inspired by the old religious concept of Hell being a physical place, there’s a rising feeling of biblical terror in Bove’s script, with an atmosphere somewhere in between Indiana Jones and Dante’s Inferno, while big themes such as the relationship between religion and science make sure you think as well as shudder. Conor Boyle’s art, and Bove’s own colouring, reinforce the terror very well, giving us a gruesome array of creatures, strikingly highlighted against the darkness – jet blacks and bloody reds are the key colours here. 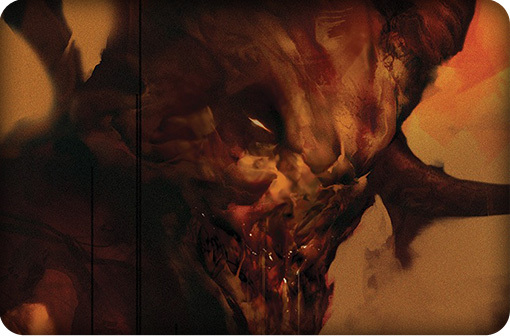 As the comic book equivalent of a short horror story, UnEarth is a spine-chillingly good way to spend fifteen minutes.